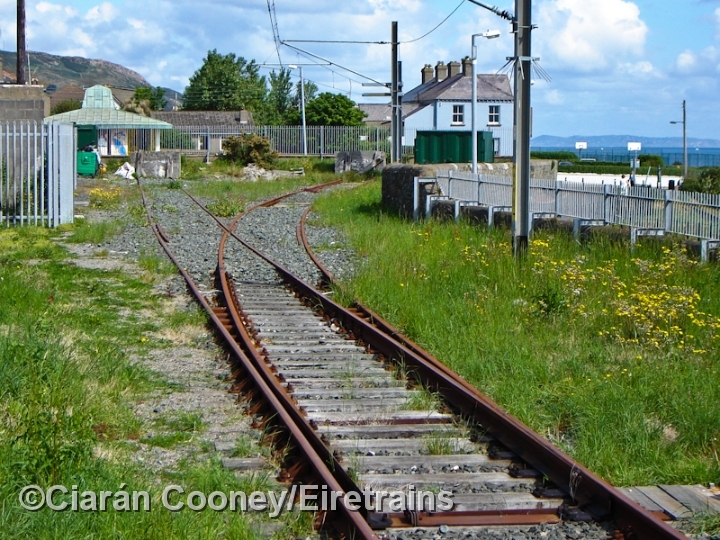 Greystones, Co.Wicklow, was first served by rail as early as November 1855, when the Dublin & Wicklow Railway opened their 'Wicklow Extension' south from Bray. The station once had goods facilities at the north end of the up platform, while on the down side behind the platform was yard and turntable. The goods yard closed in the mid 1970s, but the down yard retains two sidings for stabling DART units. The station building at Greystones is unusually located on the main street of the seaside village and is a two storey building, larger than the usual ones found at other Dublin Wicklow & Wexford Railway stations. On the down platform is the 1926 built Great Southern Railway signal cabin, which replaced an earlier DW&R wooden one. 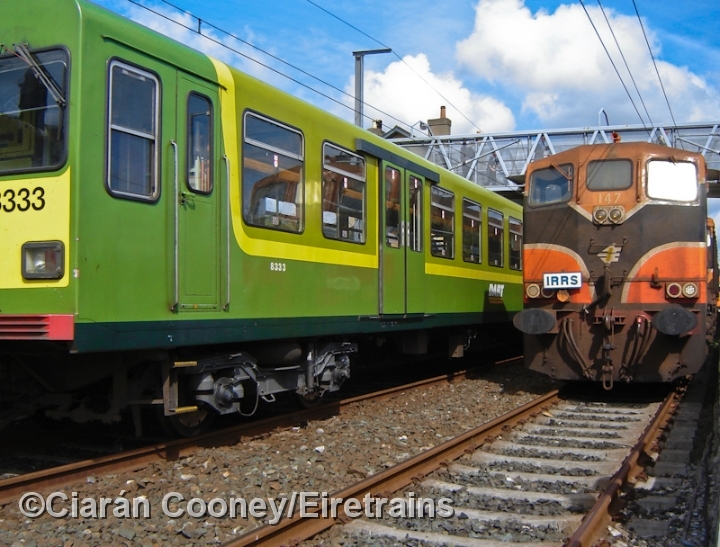 When the DART services began in 1984, a shuttle ran from Greystones to Bray to connect with the electrified services, but this was withdrawn in 1991. 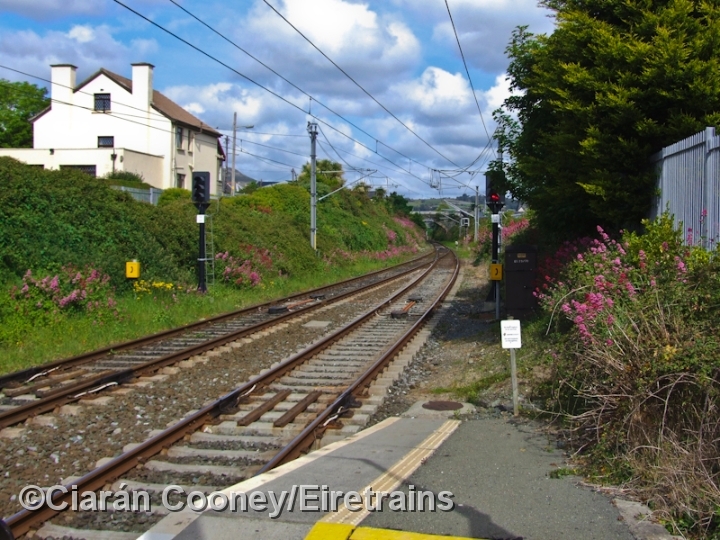 However, in 2000, an extension of the wires south around Bray Head brought Greystones into the electrified DART commuter service, which also brought about upgrading of the station facilities and the signalling. 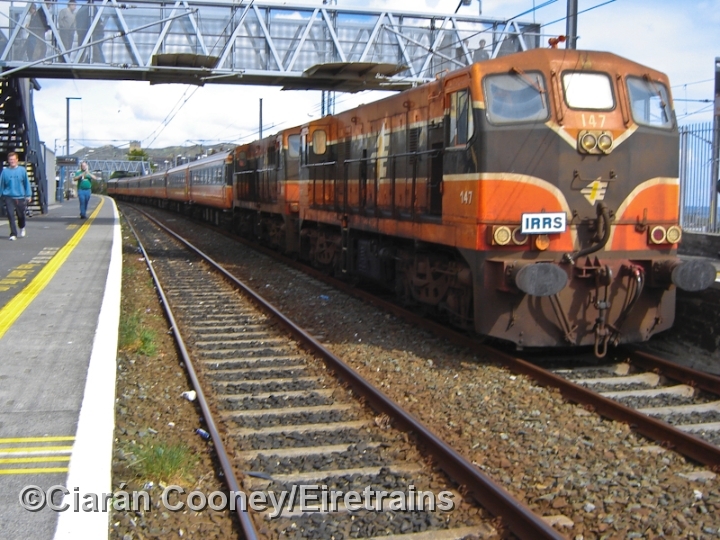 1 A pair of 1962 built 141 Class locomotives, Nos.147+144, stand at the south end of Greystones Station while working an Irish Railway Record Society special from Dublin to Rosslare. Both these locos and the 1970s Mk2 coaching stock have been withdrawn. 2 Loco No.147 entered service with CIE in November 1962. 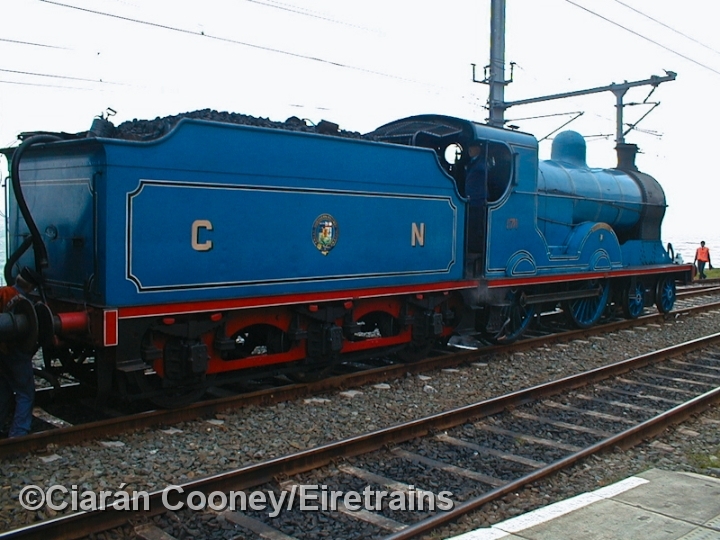 It is seen here at Greystones complete with the IRRS blue & white headboard. 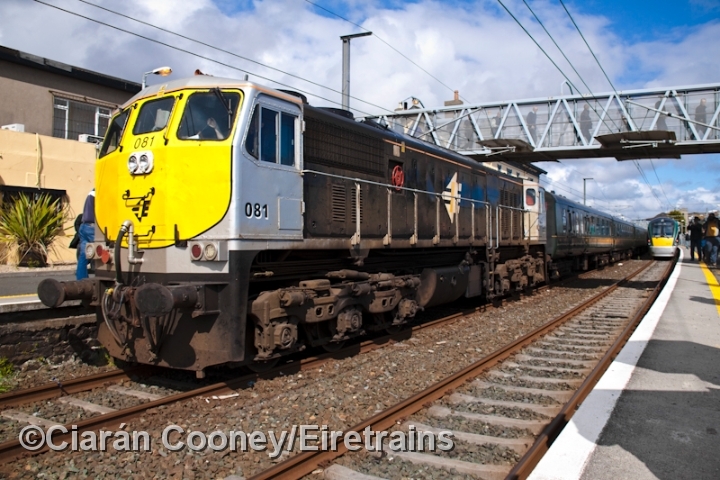 On the left is German built 8100 Class DART No.8333, seen on the rear of a northbound working to Howth. 3 All the Rosslare line trains are now operated by diesel railcars, such as 2800 Class No.2806, seen departing on the rear of a northbound working to Dublin. 5 Close up of No.171's name plate. 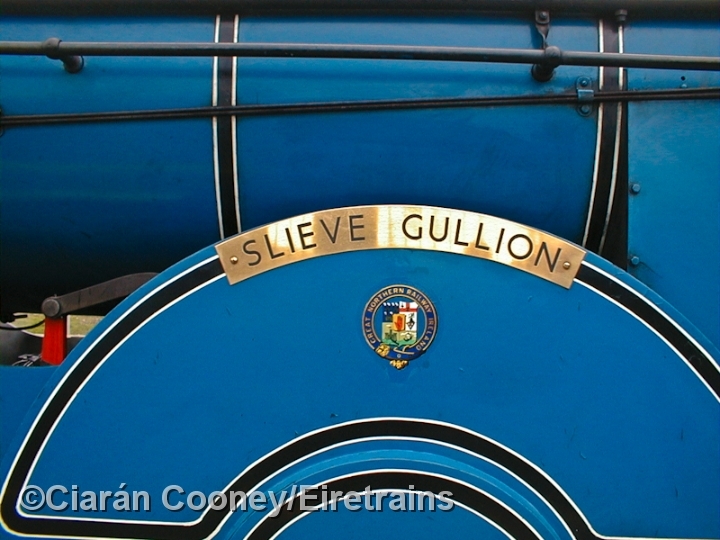 The locomotive is painted in the Great Northern's 1950s sky blue livery. It was built in Manchester by Beyer Peacock in 1915, but was rebuilt in 1938 at the GNR's Dundalk Works. No.171 was eventually withdrawn in 1965. 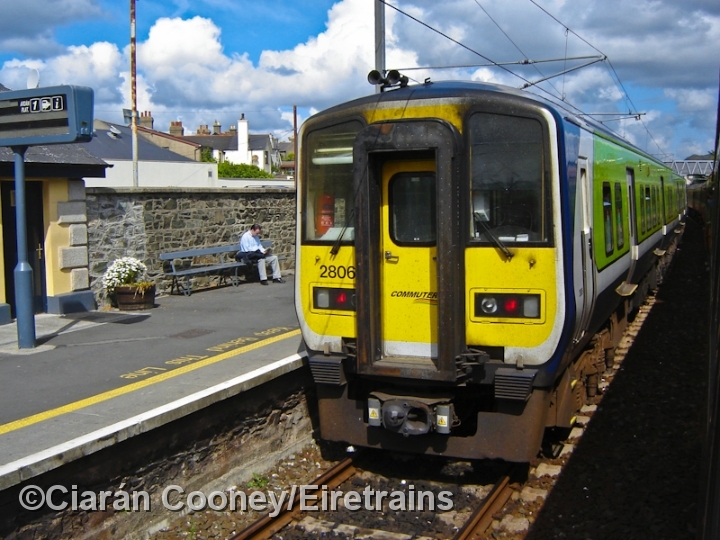 6 Seen arriving at the up platform at Greystones Station is 071 Class loco No.086, with an afternoon Rosslare Harbour to Dublin service. At the down platform is the RPSI's 'Seabreeze' special formed of ex CIE coaching stock. 7 071 Class loco No.081 in black & silver livery basks briefly in the morning sunshine at Greystones Station while working the RPSI's railtour to south County Wexford, formed of their British Rail built Mk2 coaching stock. 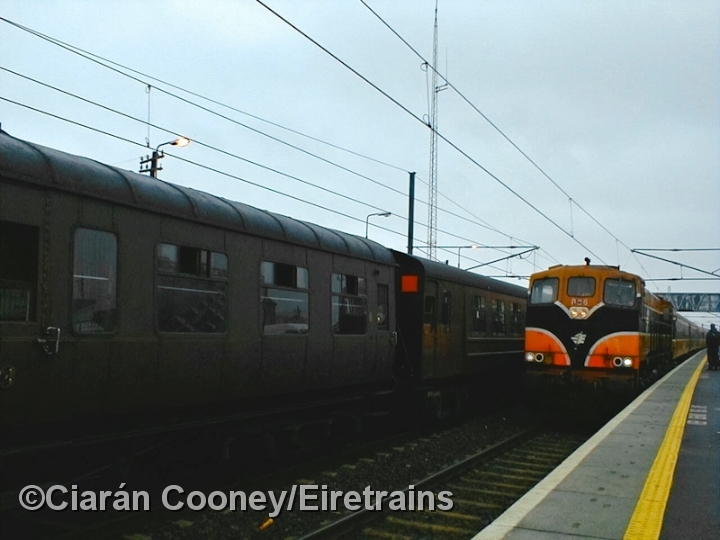 In the background a 22000 Class railcar departs north with a service from Rosslare. 8 Greystones, looking north towards Dublin from the station footbridge. On theleft is the large Dublin Wicklow & Wexford Railway station building, dating from the opening of line from Bray to here in November1855. 9 A view looking south towards Rosslare from the end of the down platform at Greystones Station. A headshunt is retained here on the up side of the line for stabling out of service DART trains. The track converging from the left leads to the site of the former down yard. 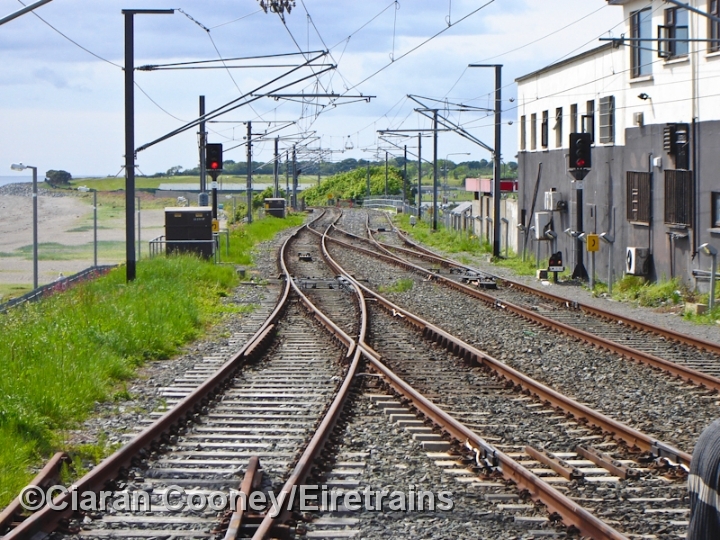 10 Despite electrification in 2000, Greystones still boasts two short sidings in the former down yard adjacent to the station. A turntable was also once sited here. 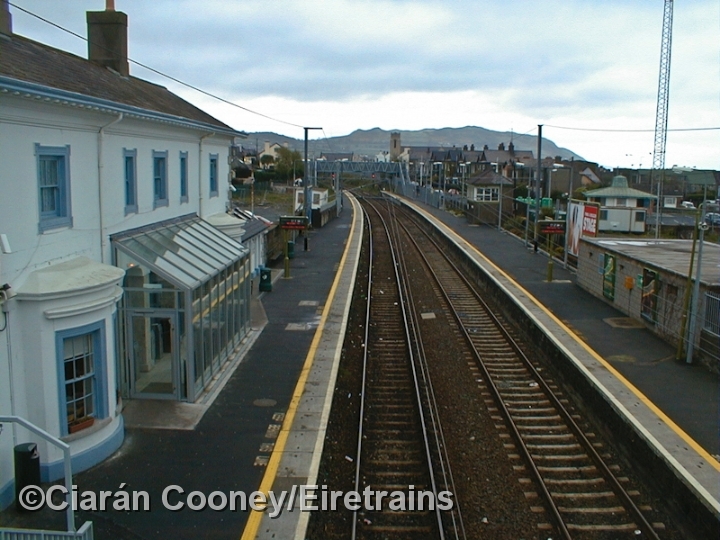 11 Greystones Station, looking north towards Bray from the end of the down platform. Note the original low stone road overbridge has been retained despite installation of the overhead line equipment for the DART in 2000.